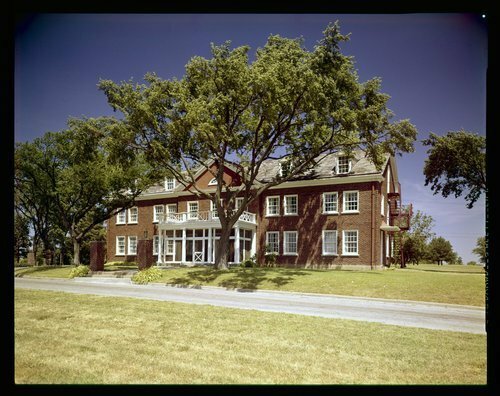 This photograph shows the Neiswanger Building which housed the Topeka Psychoanalytic Institute and other offices during the time of the Menninger Clinic. The Security Benefit Life Insurance Company built it as a home for the elderly in 1921. It looked out over the city of Topeka from the top of Martin's Hill.